I recently started putting cilantro into savory blends, and I think it tastes amazing. I use a smallish handful of cilantro along with half a lemon (the amount of cilantro in the picture is probably enough for ~3 1-quart blends). 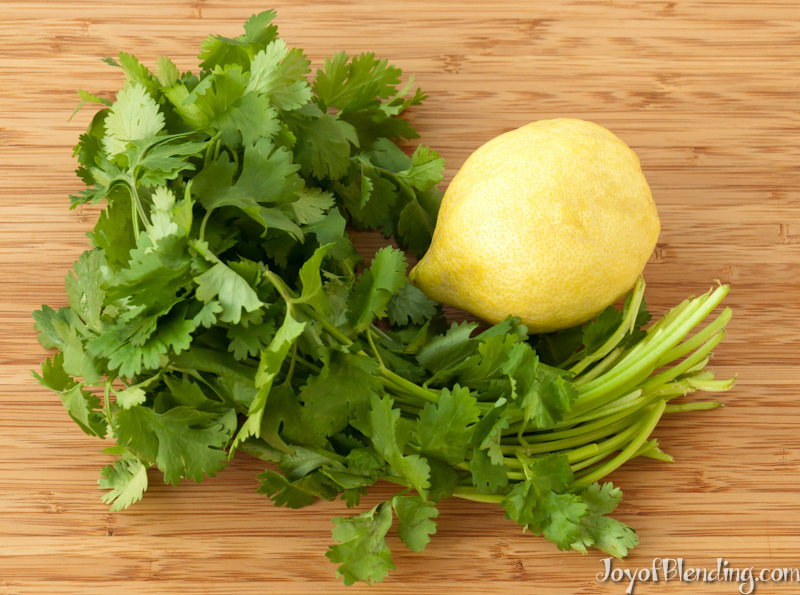 Some people hate cilantro, and for a long time that discouraged me from using it. But assuming you’re not one of the 4-14% of the population that thinks it tastes terrible, it’s really tasty! You can of course add or subtract to this list; it’s pretty flexible. I’ve been finding this flavor combination results in a seriously good savory whole juice. I used to squeeze the juice out of the lemon, but now I just cut off the skin the same way I do with oranges. I had been traumatized by an extremely bitter lime pith, but lemons generally have a mild pith. Update: Storage tip: keep cilantro bunch in a jar or cup with about an inch of water in it, similar to how you’d keep flowers in a vase. Put a produce plastic bag over it (loose is fine) and store it in the fridge. You can change the water occasionally and trim the bottoms of the stalks when you take it out. It will keep for a couple of weeks, compared to possibly less than a week if it’s just left loose in the fridge. It will slowly lose its aroma, but I’ve been impressed with how long it lasts. Update 2: Thanks to the suggestion from Donna I’ve started putting cilantro in some sweet smoothies, and it goes surprisingly well with sweet/sour flavors, for example in this Mango Kiwi Smoothie. 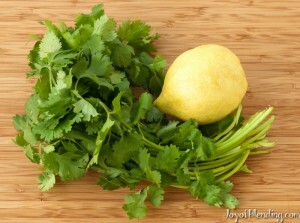 Hmm, I may have to give that a shot as I love cilantro (or coriander, as it’s called here!). As it’s so cold I tend to use ginger or jalapeno (no seeds) to warm me up. I am going to try your dried tomatoes trick too, great idea. 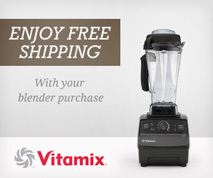 Fantastic site, keep up the good blending! This tastes fantastically like aloo tikki or some other really good chaat dish–without the starches and the friedness! Very perking. Not just for savory! I adore cilantro and even stick it in my sandwiches along with the lettuce. But surprisingly, cilantro can go into your fruit smoothies also. I goes super well with pineapple, believe it or not. Try it! That sounds interesting. I’ll have to try it some time!